Very happy with Lindy. She went over and above any expectations I had and made the entire process stress free. I would recommend her to anyone. Very knowledgeable about the properties and any questions I had. I am so glad to have had Lindy guiding me through the process of purchasing my first property. Her expertise & knowledge helped answer any questions (and there were a lot!) and she always made sure that I knew what was happening every step of the way. We communicated well and I always felt assured that she was working for me and my best interest. Through working with her I felt confident that I was making a good choice with my purchase. I couldn’t have had a better experience and I hope that everyone gets to enjoy the process of purchasing a home as much as I did! Thank you so much, Lindy! Lindy is very knowledgeable, professional, friendly and honest. I can’t imagine a better realtor in Pagosa Springs! She was very responsive to our needs and interests, and her level of knowledge and expertise were superior. I’d use her again without hesitation and I’d recommend her to anyone. We’ve sold two homes with Lindy as the listing agent and purchased one home with her representing us. We highly recommend Lindy. She is extremely professional, knowledgeable and has a great attention to detail. Lindy was wonderful at every step of the buying process. She really paid attention to our needs. She was extremely patient and worked at our pace. Her knowledge of the community services; the infrastructure; the overall Pagosa scene; was a game changer for us. She helped us buy our dream home! We highly recommend Lindy. Lindy was very good in the final weeks helping to close the deal. She went out of her way the final 2 weeks to make sure things were worked out between buyer and seller. I appreciated her extra effort. I recently had the opportunity to work with Lindy during the purchase of my first home. Her knowledge about the area is excellent and understands the areas that will provide resale value for the future. During the showings, she illustrated her knowledge about specific builders and areas to focus attention to, ensuring your money is well spent and not lost in costly repairs that might not be cut before. Not only does she know the area, she has great references for home inspections and lenders. The seller for my new home wanted to close fast and Lindy referred me to 1st SW Bank (I shopped around too). They too were great to work with and without issues, I was able to close under 30 days. During the buying process, we had a couple negotiations and close deadlines. Lindy was always a step ahead and most definitely waiting on me to finalize any contractual obligations. I would gladly work with Lindy again and I will be sure to refer her to anyone I know looking to buy in Pagosa Springs. Lindy was fabulous to work with. I would definitely recommend her and use her again. She knows the market, is highly professional and organized and gets things done. She went above and beyond during the inspection process. Many, many thanks! Lindy is absolutely the very best. Patient, creative, does her homework, and represents us very well to the buyers. I felt completely confident working with her. And even when things stretched out a bit, she kept reassuring us that things were going to work out and they did — EXACTLY as she said. We couldn’t be more pleased! We LOVED working with Lindy. She was tops in all the skills listed above with the added pleasure of a wonderful personality. We were immediately at ease with her and felt sure she would do her best for us. WE were not disappointed. She educated us on the ins and outs of buying in Colorado and of being out-of-state owners. She handled all the details, especially of the inspection, with great expertise and efficiency. The whole process was painless and we now have a wonderful home that we are excited to start making our own. Super kind,Sweetheart,A real professional,Amiable & Congenial with a very effervescent personality.We enjoyed every minute of the whole experience. Highly recommended.We bought 2 undeveloped lots in the area & with Lindy’s help both transactions were smooth. Lindy Moore is hands-down the best realtor we have worked with. Professional, conscientious, informed, and truly personable – these words fit her perfectly. She put us at ease throughout the process, answered all our questions, knew the questions that needed to be asked of us…everything. And no one knows the local market like her. She literally knows everyone of relevance. 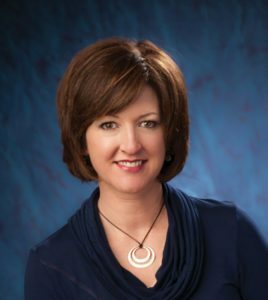 If you are looking for a top-notch realtor, look no further than Lindy! My husband in I were quite impressed with Lindy’s professionalism, knowledge of Pagosa Springs and surrounding areas, knowledge of negatives and positives to be aware of, and her expertise in dealing with her clients in a caring way. She is adept at “reading” your interests, needs, etc. and quickly responds to any questions or concerns you may have. I highly recommend her for her pervasive abilities as a realtor/broker. Lindy is an outstanding agent with great knowledge and an amazing sense of understanding her clients and needs. I would highly refer her for her honesty, knowledge, communication and fantastic welcoming personality. We here at VFW Post 4031 in Durango, CO and I personally have the great pleasure of meeting Lindy and having her help us with the sale of a property in Pagosa Springs, CO. Her knowlege, expertise, personality and her immediate willingness to assist us made for a very good experience in completing the transaction. We at the Post and I personally would very highly recommend Lindy to anyone who is eiither looking to purchase or the sell a property. I am glad that i had the opportunity to meet and work with her. Lindy Moore is a rare gem who has a special gift of true kindness and honesty. You fall in love with her as soon as she gives you her big warm smile. Lindy follows through with all the details in lightning speed and makes sure you understand all the details of the contracts. I would highly recommend her and look forward to working with her again. We have bought and sold several homes and Lindy was the best agent we have been involved with. Looked at numerous homes in Pagosa Springs and Durango areas and she was exceptional at screening viewings, including taking the time to screen homes she had not viewed previously so as not to waste our time. The home we ended up buying was owned by an estate and had numerous complexities and Lindy went way beyond what would be expected from an agent to facilitate the closing.